Place a button leading to your Twitter profile in your chat window to get more followers from among your website visitors. When the button is present, every time somebody chats with you they will be able to immediately access your profile and follow you. You need to go through the following steps to place a Twitter button in your chat window. 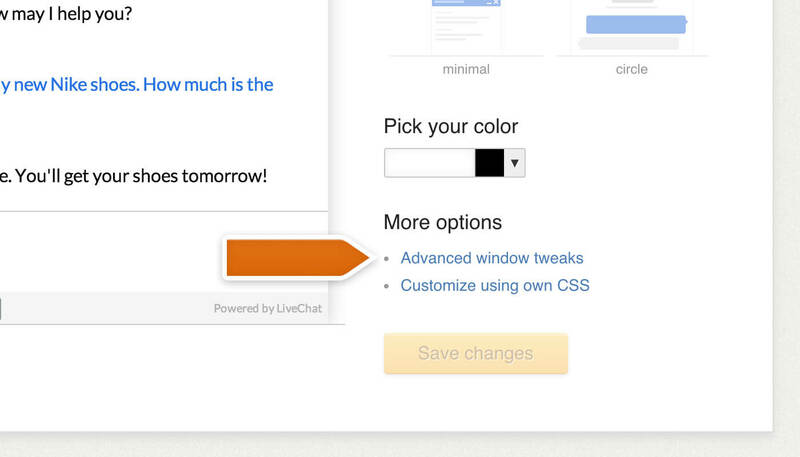 Log in to LiveChat and go to the Theme section. Click on the Advanced window tweaks link to bring up additional settings. Select the Add a link to Twitter option. When you are done, click on the I’m done editing button. Finally, select Save changes to complete the setup. Once you complete the setup, a Twitter button will start showing up in your chat window and your customers will be able to follow you right from a chat. 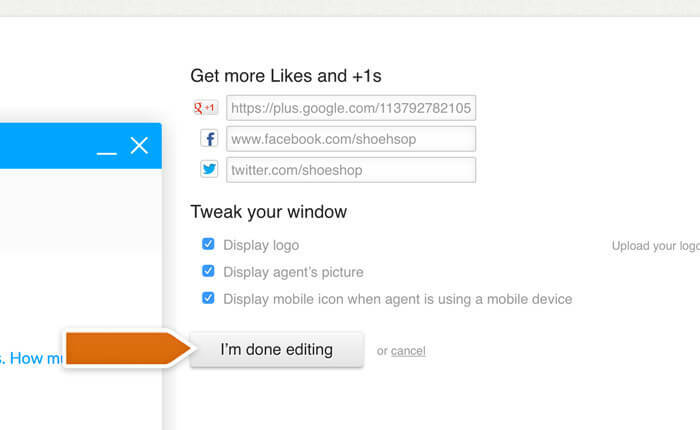 In the same way, you can add social media buttons for Facebook and Google+! 98% of people found this helpful.